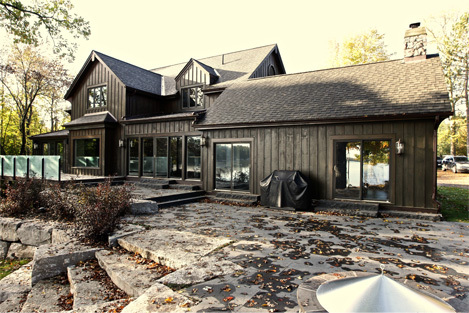 Since opening in 1989, Jim Williams Construction has been building and renovating custom homes and cottages in Peterborough and the Kawartha Lakes area. By combining unique designs, high quality materials and only the finest craftsmanship, we create spaces that are uniquely designed to fit your lifestyle and needs. “It’s not like working in a subdivision, where there are cookie cutter houses. These are unique, one-of-a-kind houses with a personal touch.” Jim Williams. 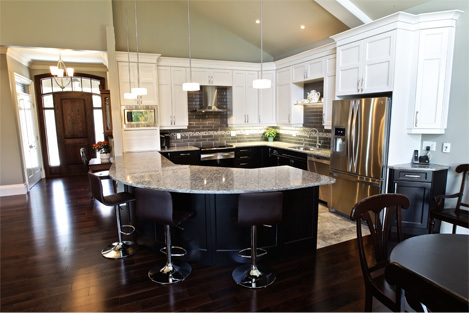 By remaining a small, hands on company, our master carpenters are able to work directly with you and will keep you involved along every step of the planning, design, construction and finishing process. We work hard to establish a lasting reputation based on honesty, integrity and customer satisfaction, and have established ourselves as industry leaders in quality and service. Join our many satisfied customers and discover the pride of owning a beautiful new home built by Jim Williams Construction.